We’ve come to a Social Studies unit in Differentiation in Practice. 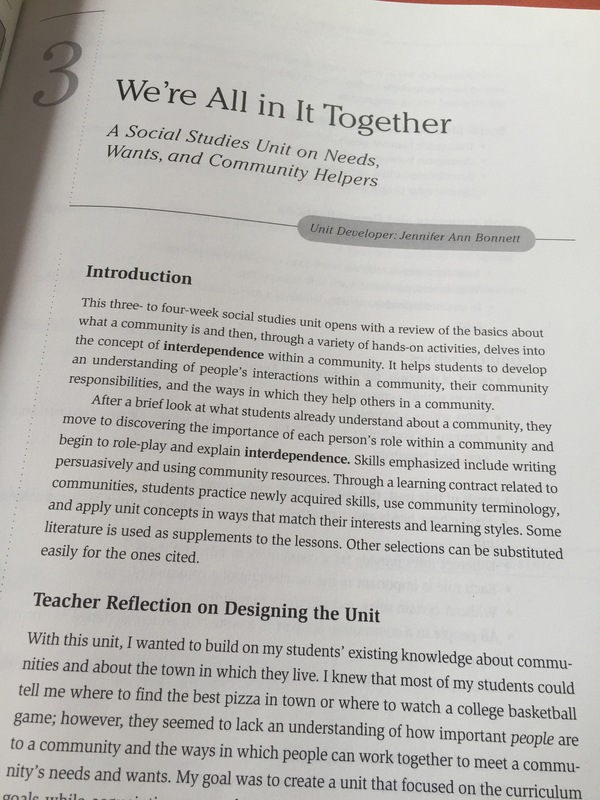 The unit is titles We’re All in It Together and is all about needs, wants, and community helpers. I’m a fan of this particular unit because I find there are lessons which I can pull out and use, not just in Social Studies, but also in Religion and Health. Anytime I can add to units I already have is fine by me! One thing I particularly like about this unit is that the lessons are all very creative and (I think) quite fun. 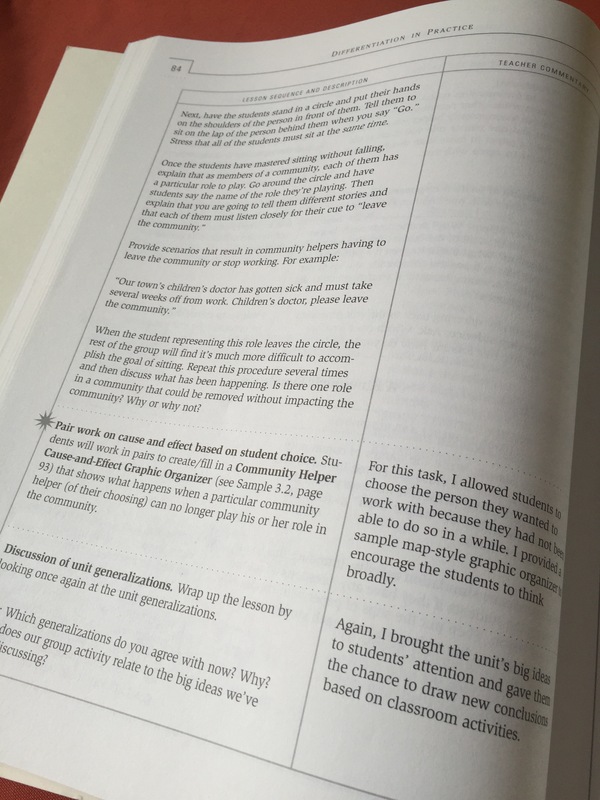 The majority of students would really enjoy them and (as per the title of the book) they’re differentiated enough that all students would be able to succeed without frustration. One lesson I particularly liked was a kinesthetic activity in which students get to role play and recognize the important roles that community members play in keeping it running smoothly. Overall, this is a great chapter full of great lessons and resources. I’m still finding this a great book full of very helpful units and lessons. If you’re interested in the book, here’s the link to it on Amazon. Stay tuned for chapter four!